Dr. Ngoh-Tiong Tan is a distinguished alumnus of the College of Education and Human Development, earning his doctorate in social work in 1988. Dr. Tan is a leading social work scholar in the Asia-Pacific region. Since his return to Singapore in 1988 he has held a tenured faculty position at two Singaporean and one American universites and held numerous leadership positions in Asian and international social work organizations. He is currently the dean of the School of Human Development and Social Services at Singapore Institute of Management University in Singapore. After graduation he returned to Singapore and worked his way up the academic ranks. He was appointed as a lecturer, equivalent to an assistant professor in the U.S. higher education system, at National Singapore University (NSU) and eventually served as sub-dean of Arts and Sciences at NSU. He has been a visiting scholar at Cambridge University, University of California Berkeley, and Harvard University. In 2006, he moved to Minnesota to serve as professor of social work at Augsburg College. Dr. Tan is a highly sought-after academic leader in Asia because of his unique experience holding academic jobs in Singapore and the U.S., and leadership positions in various international organizations. He is foremost an intellectual leader in social work in the Asia-Pacific region and has been a very productive scholar. He has published 12 books and numerous articles. He is the founding editor of the Asia Pacific Journal of Social Work and Development and the editor of the Asian Journal of Social Policy. Dr. Tan’s international service is extensive. He was twice elected president of the Singapore Association of Social Workers and president of the International Federation of Social Workers (Asian and Pacific regions). He has also been a keynote speaker for international conferences and a consultant to public agencies and private companies. Dr. Tan is an engaged scholar who has led several important efforts that have had an international impact. He led a major regional response to the tsunami disaster in Southeast Asia in 2004, initiating the FAST Project, which has been a catalyst for the tsunami responses by social workers in the region. To further this work, Dr. Tan organized an international disaster intervention symposium in 2010. 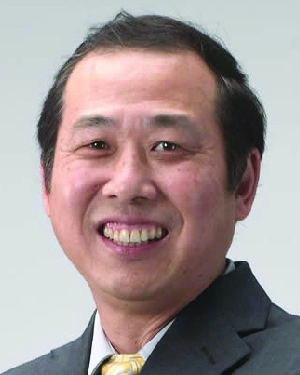 In naming Dr. Ngoh-Tiong Tan as a recipient of the Distinguished Leadership Award for Internationals, the selection committee cited his substantial leadership role in the social work profession and educational training. He is highly valued by his colleagues across Asia and the U.S. He has boosted the reputation of the University of Minnesota in Singapore and the Asian-Pacific region.